In the not-so-distant future, India has fallen, and the world is on the brink of an apocalyptic war. An attack by the terrorist group Invisible Hand has brutally eliminated the Indian Prime Minister and the union cabinet. As a national emergency is declared, chaos, destruction and terror reign supreme. From the ashes of this falling world, rises an unconventional hero – a vigilante known only as Kalki. Backed by a secret society called The Rudras, Kalki, along with Nushen, the Chinese superhuman spy, must do the impossible to save his country and the world. A flesh and blood crusader with a mysterious past? Or the Messiah the world has been waiting for? The future of human survival depends on a single man! Will he become the living God prophesied as the last avatar of Lord Vishnu, or will he fade away as an outlaw? Find out in the Last Avatar! I was tired of Hollywood superheroes & decided it’s time to bring out a true Indian superhero with roots deep in our ancient knowledge. The idea for my book THE LAST AVATAR was born from this! Unlike all other mythology books, I wanted my book to be set in the future. I was always fascinated with the prophecy of Kalki, the 10th and last avatar of God, who the ancient Hindu Puranas and epics predict would be born in the future to end the age of darkness on Earth. It is told that Kalki the Destroyer, would be all-powerful and merciless towards evil. But what if the God incarnate was born as mortal as any one of us in tomorrow’s world and had to toil through a tumultuous path with true grit and valor to one day save humanity from destroying itself? I take pride in India’s history and knowledge that our ancient ancestors possessed. After considerable research, I concluded that our prehistoric forefathers had achieved significant science and technological breakthroughs thousands of years before any other civilization in the world could even think about such marvels. Sadly, most of that knowledge was lost to wars and invasions bleeding our motherland through the eras. But what if we are wrong? What if the knowledge was not destroyed but hidden because it was so powerful that in wrong hands it could be used to enslave the planet and destroy all the good? It’s true that fiction follows facts. When I further researched ancient Indian secret societies, I was captivated by the results I found—myths and legends of mysterious stealth groups that were created to protect the ancient wisdom of our forefathers. This laid the foundation of The Rudras in my book. What if there was a deeper agenda? What if our forefathers wanted to secretly pass on the omnipotent knowledge and cryptic message to the prophesized last avatar? This premise formed the basis of my trilogy, which is written over a fabric of mythology but weaved by threads of science-fiction and laden with tense geopolitical equations that truly surround us today. I first hit upon the idea on 12th December 2010 and it kept me wide awake for a few nights. Since then, it’s taken me nearly eight years of research, writing, rewriting and practically living this book—a journey of creating the true Indian superhero and the last avatar Kalki in flesh and blood. I feel blessed to have had this vision and have loved every bit of this creative journey. I hope you enjoy this rollercoaster ride! 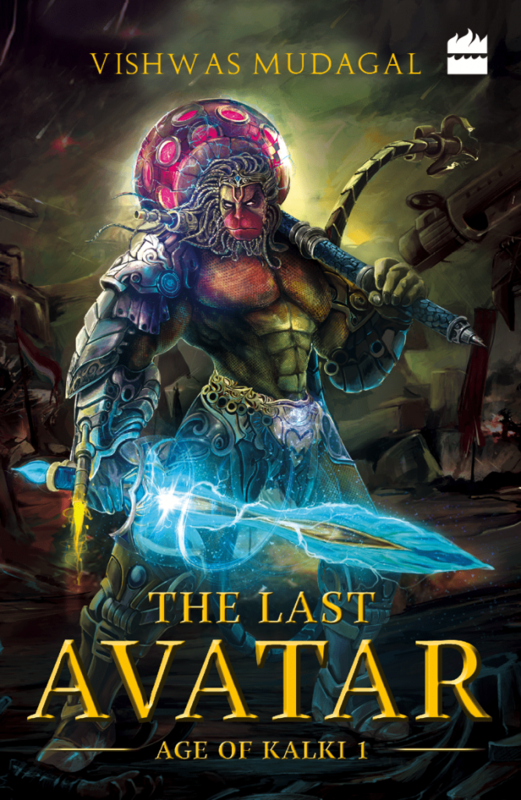 The Last Avatar is one of the most highly read and rated books online. An interesting blend of mythology and Science fiction has taken readers across the country by a storm. Read more about Last Avatar’s reviews on GoodReads and Amazon here. Here is a sneak-peek into Vishwas Mudagal’s Kalki universe. With powerful villains, secret societies, superhumans, The Last Avatar is a page-turner and will keep you hooked on until the end. Read the sample preview of the book below.